REACH Scholars from Columbia County Schools prepare to sign their letters of commitment. Thirty-one additional school systems joined the REACH Georgia Program during last month’s statewide signing events. 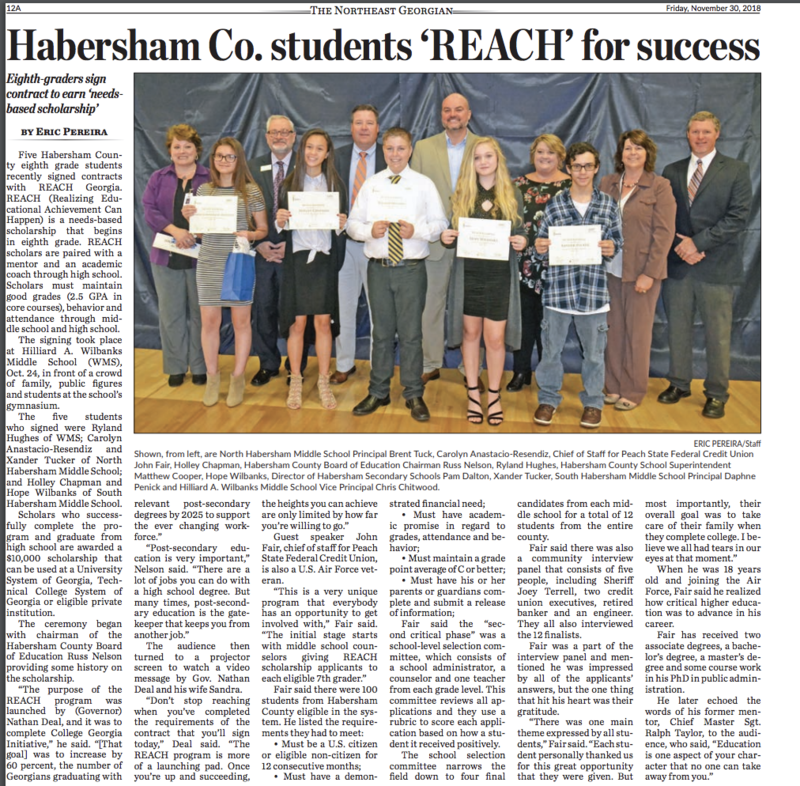 The REACH Program now serves nearly 1,700 students in 134 systems across the state. 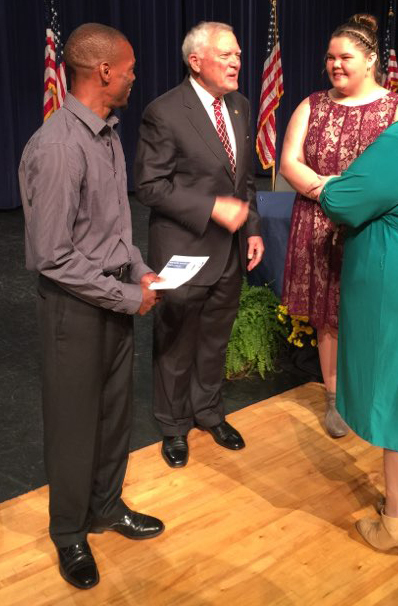 Governor Nathan Deal speaks with REACH Scholars from Jackson County Schools. 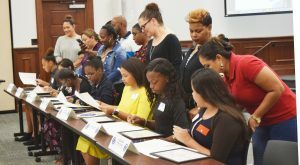 Launched by Governor Nathan Deal in 2012, the REACH Georgia Program is a needs-based mentorship and scholarship program designed to encourage students, starting in middle school, to persist in their educational pursuits. REACH Scholars are provided with the academic, social, and financial support needed to graduate from high school and earn a postsecondary education. New REACH Scholars sign contracts pledging to meet academic and attendance requirements, meet with their academic coaches, and remain crime, drug, and behavior issue free. Parents and guardians also sign contracts to support these efforts. In addition, community members, REACH Coordinators, volunteer mentors and academic coaches commit their time and energy to helping these students achieve educational success. The Photo Gallery has images from REACH Signing Day events across the state.